Chamomile – Among this list, chamomile is the only plant that reseeds and regrows every year. It’s more popular as a tea, in terms of its culinary uses. As a medicinal plant, it’s commonly used to treat anxiety, depression, insomnia, and stress. Chamomile can also relieve an upset stomach. Moreover, it can be used as a conditioning hair rinse and as a topical solution for eczema, rashes, and sunburns. Side effects: Chamomile is not recommended for people with ragweed allergy and cannot be taken with other blood thinning medications. Chives – Often used as garnish or topping, this perennial is considered a superfood. As a medicinal plant, it’s said to lower the risk of prostate, esophageal, and stomach cancers. It’s also great in regulating mood and sleep and has been shown to reduce inflammation. Chives are known to reduce cholesterol and blood clots, and animal studies have shown that it can also reduce tumor growth and increase dopaminergic activity. Side effects: None. Fennel – The bulb of this plant is used in Bouillabaisse while the seeds are used in Italian sausages. As a medicinal plant, it’s known as a treatment for congestive conditions, digestive problems, and also works as an appetite suppressant. Side effects: None. Lemon balm – Aside from being a refreshing cold treat as a tea, Lemon Balm is used in salads for an additional citrus flavor. In terms of health benefits, it works like chamomile; it can relieve anxiety, depression, and insomnia. It’s also effective in treating digestive problems, urinary tract issues, nausea, and hypertension. Lemon balm is also used to treat insect bites, cold sores, sunburns, and simple first-degree burns. Side effects: None. Oregano – Used to flavor and spice up foods, oregano is also known for its antibacterial property and high antioxidant content. 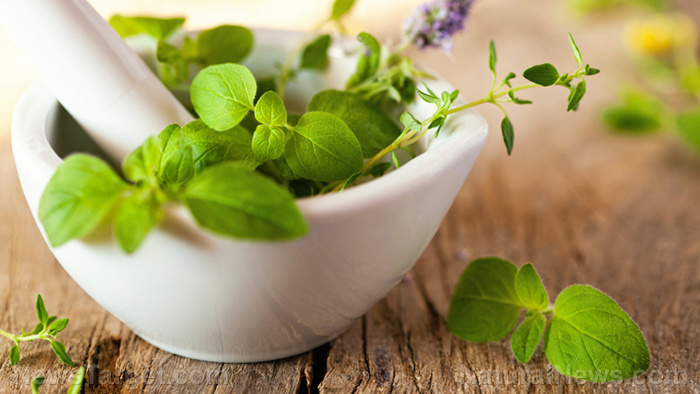 Studies have shown that oregano is a potential treatment for diabetes, as it can help regulate glucose levels due to its flavonoids that inhibit DPP-IV. It’s also used to cure headaches and treat or relieve spasms. Side effects: Too much use of concentrated oregano oil can cause skin irritation. Peppermint or Spearmint – Mints are often used as a flavoring for candy, but it’s also a common favorite for treating colds, headaches, and migraines. These plants are also known for relieving nerve and back pain, and clogged sinus. Mints are natural blood thinners and work as insect repellents. They’re commonly used for dental and oral hygiene as well for their antibacterial properties. Side effects: Concentrated oil of mints can cause skin irritation. Thyme – It’s a staple in Italian cooking; it adds flavor to sauces, soup, meat, and seafood. But more than that, thyme is used as a topical solution for its antibacterial and antiviral properties, as well as an analgesic and antifungal treatment. When taken orally, it can treat coughs, upset stomach, aid sleep, soothe a sore throat, and it can even be used as a mouthwash. It’s also often used as an insect repellent. Side effects: Excessive use may have an effect on menstrual cycles, and it’s not recommended for children. They can make your garden look great. Herbs are unique additions to your collection of plants. Each herb possesses unique irresistible scents. Herbs are really great for your health. Discover more of these amazing plants at Herbs.news. Next : Antibiotic-resistant bacteria on the rise; what can you do NOW to stay healthy?